A new compensation scheme for UK home broadband users commences today, with Ofcom putting new rules in place to give money back to consumers experiencing delayed repairs, missed appointments and overdue starts to services. 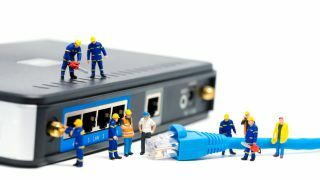 Ofcom estimates that the new scheme will see around £142m being returned to UK consumers and businesses that use residential broadband and landline connections. “We think it’s unacceptable that people should be kept waiting for a new line, or a fault to be fixed," said Sharon White, Ofcom Chief Executive, "These new protections mean phone and broadband firms will want to avoid problems occurring in the first place. But if they fall short, customers must be treated fairly and given money back, without having to ask for it.